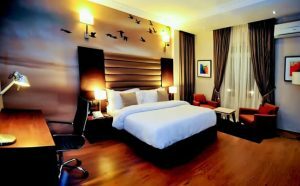 The Blowfish Hotel is a boutique hotel, modern and tastefully decorated. 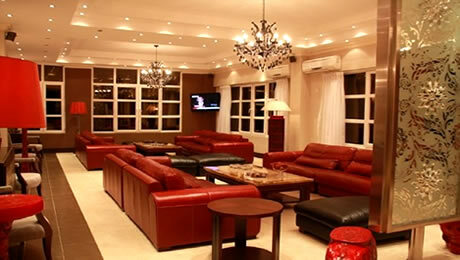 The Blowfish by Piccolo Mondo offers quality services, great facilities, delicious meals, comfort and convenience to both corporate and leisure travellers. 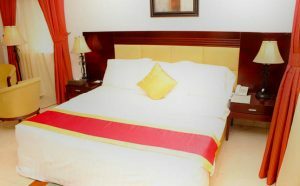 Conveniently located in the heart of Victoria Island, Lagos, The Blowfish Hotel, is just about 15 minutes drive from Murtala Mohammed International Airport and it is easily accessible from anywhere within the city. 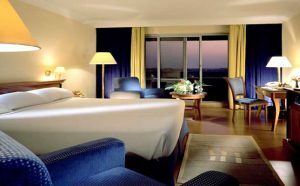 The Blowfish Hotel has a total number of 50 spacious rooms and suites, well-equipped and elegantly furnished and tastefully decorated. 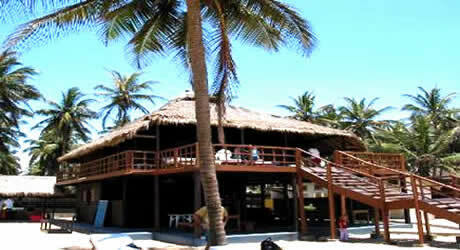 The hotel is equipped with various facilities such as hall, lounge, pool bars, restaurants and flawless service. Staffed by professional team, Blowfish Hotel offers guests a unique combination of a beautiful and serene environment where they can relax and rejuvenate! Blowfish Hotel is a good choice for family vacations, a place to stay while on business trips, venue for meetings, conference and wedding reception. 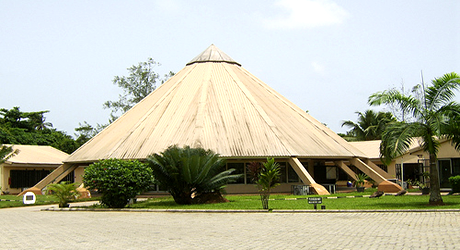 Check out our forum for Lagos attractions and hotels. 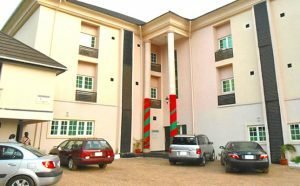 The Blowfish Hotel has a total number of 50 spacious rooms and suites that come in different categories such as the Level, Focus, Deluxe and Supreme, all well-equipped, elegantly furnished and tastefully decorated. Every guest starts his day with a large and varied Mediterranean Breakfast buffet together with a wide selection of a la carte American and European dishes. The peoples passion for dining and late-night gatherings finds a sumptuous new home at “Purple” with electic, modern furnishings and scintillating ambience, the restaurant serves from a menu inspired by world cuisine and rendered with a unique flair.